What is the Cable Shifter? 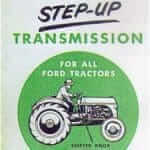 Some Step-up units were sold that used a cable to shift the transmission rather than the usual lever on the left side. 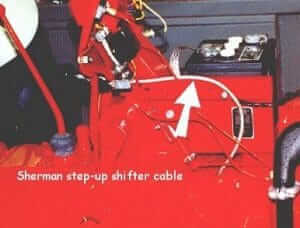 The cable came out of the right front of the tractor transmission case and mounted on the right lower dash with a large black plastic knob that was pushed in for overdrive or pulled out for normal position. The cables were prone to rusting and were soon discontinued in favor of the old reliable lever.